Home > How to convert ORF to JPG on Mac OS X? Easily convert multiple ORF images into single file format. Wide range of formats supported. Compatible with the new macOS High Sierra 10.13. It's easy to convert RAW photos on Mac. And you can convert multiple files at the same time. - by: CNET staff on March 21th, 2016. 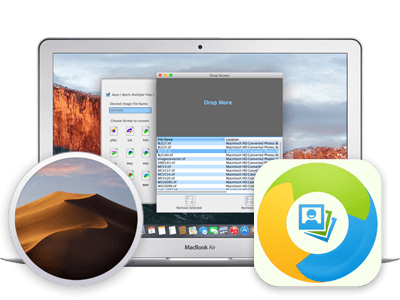 Does exactly what it is meant to do, If you're frequently converting image files, 321soft image converter is the perfect tool for you. It gives you unprecedented efficiency! - by Softonic Editorial Team. What is ORF format and why do you need to convert ORF to JPG or PNG format ? ORF is a RAW image file format that was developed by Olympus. Many professional photographers prefer to extract images in ORF format because the files are not compressed nor color adjusted. The images extracted are hence of higher definition. A couple of disadvantages are each ORF file is huge and only a few picture viewing and editing software support ORF format. Current smart phones, tablet PCs and other portable devices are not compatible with ORF files. Also, ORF files cannot be uploaded online. In this case, you will need to convert the files from ORF format to the standard JPG or PNG formats. As we all know, JPG format is the most popular and one of the most widely used image formats, which is supported by almost all software and media devices. Also, JPG has a relatively smaller file size than ORF. How to Convert ORF to JPG or PNG ? 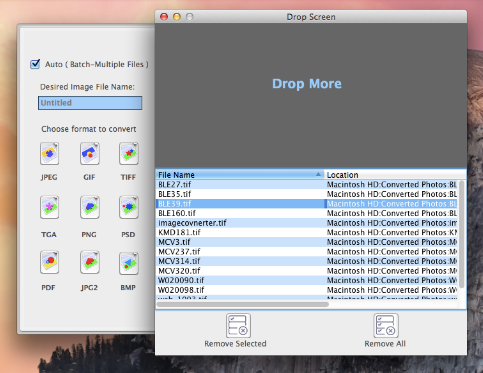 321soft Image Converter is an extremely easy to use image format conversion for Mac OS X. It not only supports conversion to common image formats, it can also convert RAW ORF images, for instance: ORF to JPG, ORF to PNG, ORF to TIFF, etc. The software also supports batch conversion. RAW Files can also be converted to PDF, PSD, BMP, GIF formats etc. If you are a professional photographer or photo enthusiast, this software will certainly be useful to you. The following is a simple Quick Start guide, which the purpose is to give you a general understanding of how the software works. It is in fact very simple. To convert ORF to JPG on Mac is just a few clicks away. 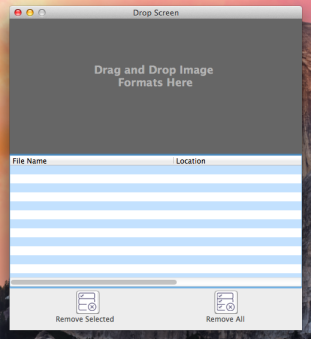 You can drag and drop to add ORF image files. First select the images you want to convert. Then drag and drop them directly on the dark gray area. On the left panel, a dialog box will automatically pop up to prompt for the output format. On the upper left corner of the interface, check the "Auto (batch multiple files)", (this is to convert multiple ORF images). Then click on the JPEG icon at the bottom. With that the conversion is completed. The converted JPEG image is in the same file location as the original ORF file. Look, to convert ORF to JPG on Mac is really simple, right? So what are you waiting for? Download the Free Trial Now!